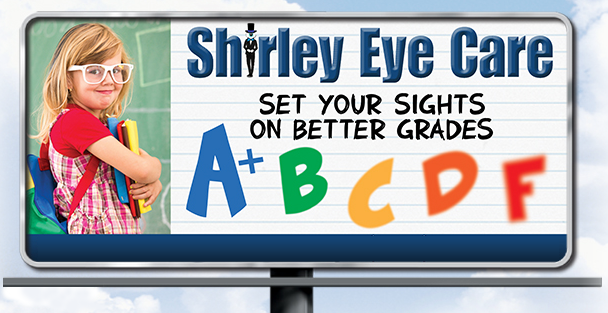 At Shirley Eye Care we stress the importance of early vision care to support your child’s highest potential. Your child’s vision, well-being, and happiness are very important to us. 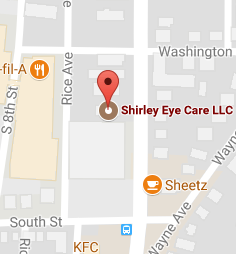 At Shirley Eye Care, we enjoy working with children and are passionate about providing children with the primary or emergency eye care that they deserve. We believe there should not be “one size fits all vision care” and we work hard to accommodate the needs of each child. A child who is found to be at risk for visual problems may need to be examined more frequently as recommended by the child’s eye doctor. Many parents are surprised to learn that vision screenings provided at school or by the pediatrician are not comprehensive vision examinations. These vision screenings typically only detect nearsightedness, in other words, is your child able to see the chalkboard? To be successful in school, near vision, depth perception, eye tracking, and binocular vision are important. These conditions and most eye health problems will go undetected at a vision screening. A comprehensive eye exam with our Indiana optometrist is the only way to detect many of these disorders, which interfere with your child’s learning; some are sight-threatening. Healthy eyes play a critical role in the growth and development of a child, and it is important to understand that good vision is much more than 20/20 sight. Children with undiagnosed eye disorders are more likely to experience frustration in school, have behavioral problems, be diagnosed with ADD, and perform below their intellectual abilities. The earlier these vision problems are detected, the more responsive the visual system will be to treatment, and you will be ensuring your child the best possible vision skills to learn. Schedule an appointment today to make certain that your child is learning to his or her full capacity.